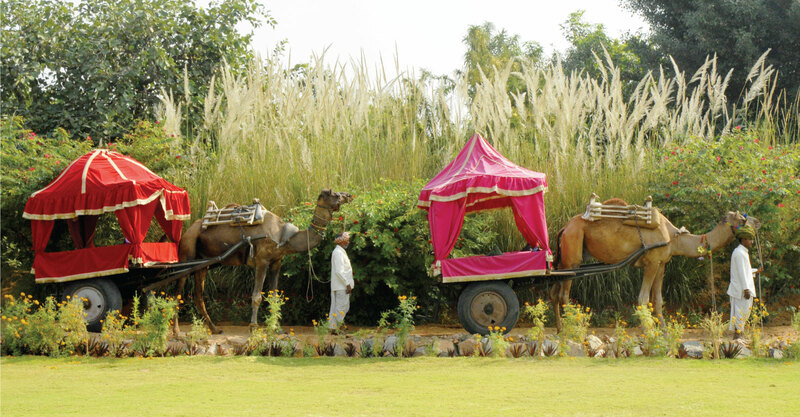 True to our brand ethos, it is the bespoke experiences that we provide our guests with; which define Pushkar Resorts. The resort's lush landscaped gardens and the view of the Aravallis create the perfect ambience for a relaxed gateway. While the in-house poultry, mango orchards and rose plantations exude the essence of the countryside, the chaos of the vibrant mystic city of Pushkar lures one to experience its various facets. The Holy City of Pushkar is not only the cradle of Lord Brahma the Creator and a pilgrimage center for all Hindus, but also hosts the annual Pushkar Fair, one of the largest cattle fairs in the world. From the breathtaking dusk at the lake to visiting the ancient Hindu temples or exploring the quaint streets of Pushkar for trinkets with our concierge services; we ensure that the experiences we create for our guests at Pushkar Resorts stays with them for a lifetime.